#ItsMyHomeToo Asks How to Arthritis Proof Your Home? Here at Tripawds we talk a lot about “Tripawd-proofing” your home, but did you know that many of the tips we suggest for three-legged animals apply to four-legged ones too? The new Canine Arthritis Management Home Assessment Tool gives you even more suggestions to arthritis proof your home. And until August 8th, the organization that created it is seeking your feedback about their tips. The new #ItsMyHomeToo movement is based on the hard work of our friends at Canine Arthritis Management. If your Tripawd is a cat, please keep reading: the information in this body of work can also make your cat’s home more comfortable too. 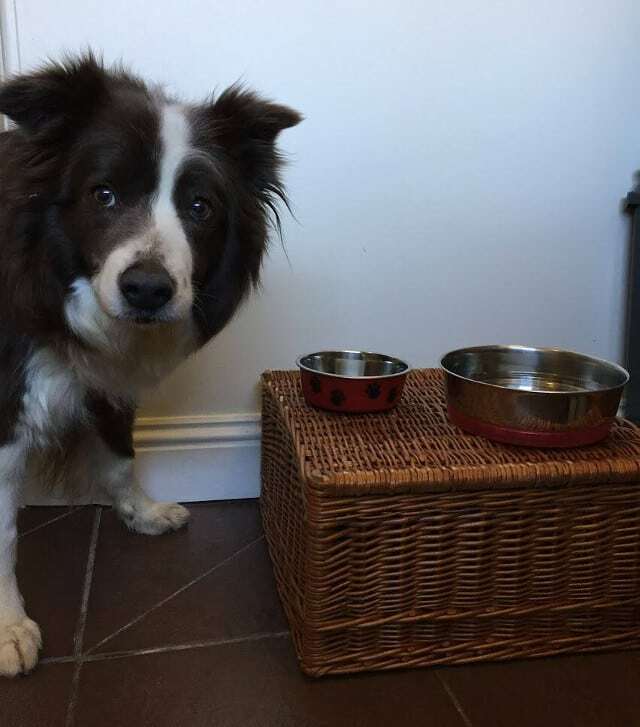 “There is a lot that the enlightened owner can do to reduce the cumulative effects of activities that are thought to compound ‘wear and tear’ on joints, (such as slipping on laminate floors), and making the dogs environment easier to negotiate thereby improving their quality of life,” writes CAM. The Home Assessment Tool contains tons of great suggestions to help you assess your home environment and consider simple modifications that can make life easier for your animal. #ItsMyHomeToo Holly recommends elevated feeders. Your Feedback is Needed by August 8: Download the #ItsMyHomeToo Home Assessment Tool Today! 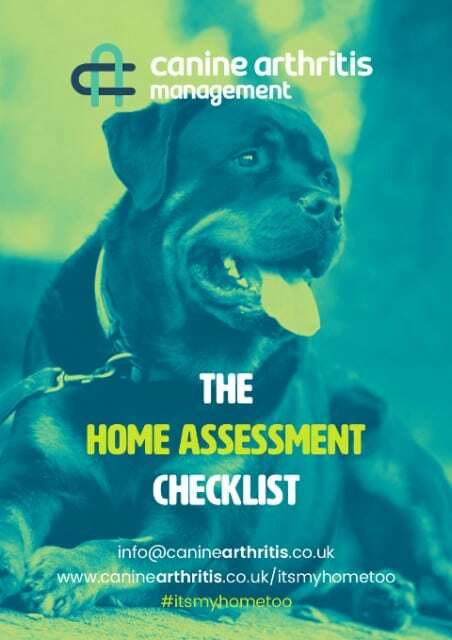 The Canine Arthritis Management Home Assessment Tool is a brand new set of guidelines. CAM is excited about how it can help animals be more comfortable at home, but in order to make sure the tool is helpful, they would like our feedback on their suggestions. Then share your feedback with CAM no later than August 8th.